What do you say, vandalism or keeping things interesting? 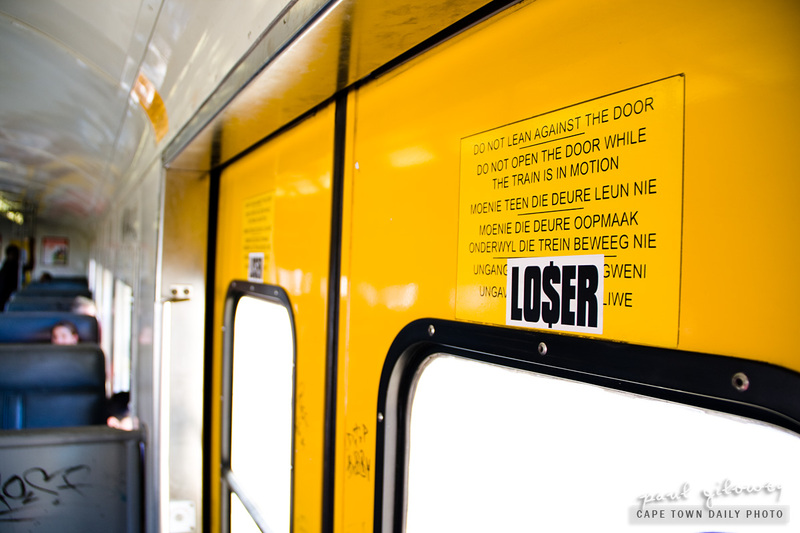 What I noticed about this "LO$ER" sign is that there are two of them, placed almost perfectly on each door of this metrorail train. Isn't it just awesome that the vandal that put them there went to the trouble of neatly aligning them? I can just see the thought running through their mind - hundreds of people jam-packed in the train at rush-hour, with the few standing near the door being made to stare at a sticker calling them losers. Posted in General and tagged door, metro, train, vandalism on Wednesday, 11 May, 2011 by Paul.